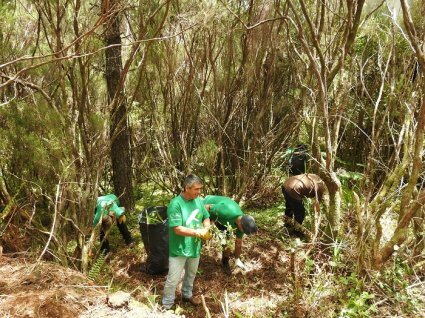 To commemorate the Natura 2000 Network, SPEA Madeira, in partnership with “Amigos do Camelo”, Madeira All-Terrain Association and Institute of Forestry and Nature Conservation, promoted an activity to remove invasive plants in one of the areas of the LIFE Fura-bardos - Ginjas. 46 bags of Crocosmia were removed helping the recovery of the Laurissilva Forest, site included in the Natura 2000 Network. Many thanks to all the participants for the enthusiasm with which they contributed to this initiative.